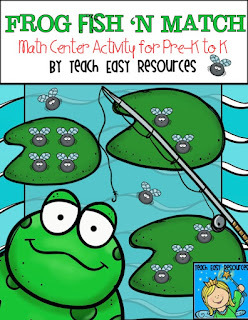 Teach Easy Resources: Catchin' Frogs and Learnin' Numbers - A fun activity for Center Time! 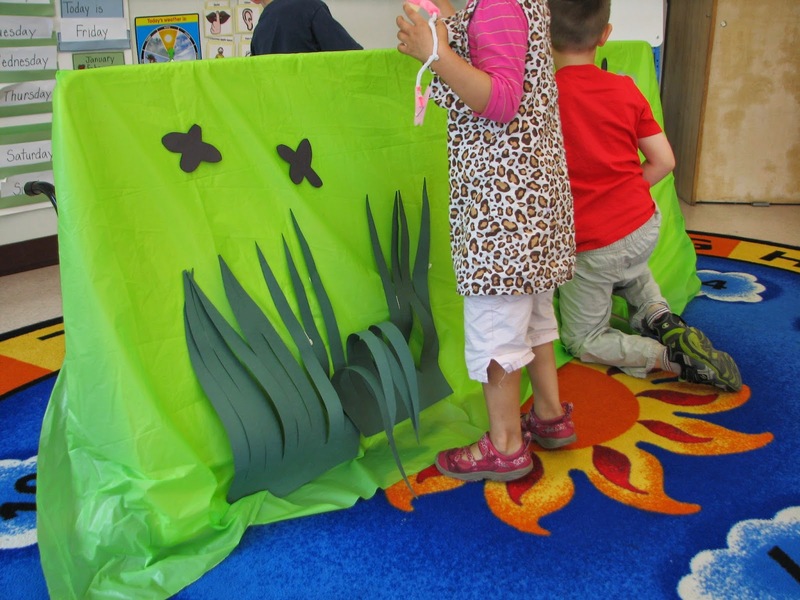 Catchin' Frogs and Learnin' Numbers - A fun activity for Center Time! As a kid I always loved pretending to "fish" at the annual school fair. Do you remember those fishing booths at the fair? There'd be a big wall that you'd have to cast your fishing line over and then someone on the other side of the wall would attach a prize for you to "reel" in. I always found that station so exciting! My enjoyment of this activity as a kid spurs me to set up at least one fishing game for my class every spring. 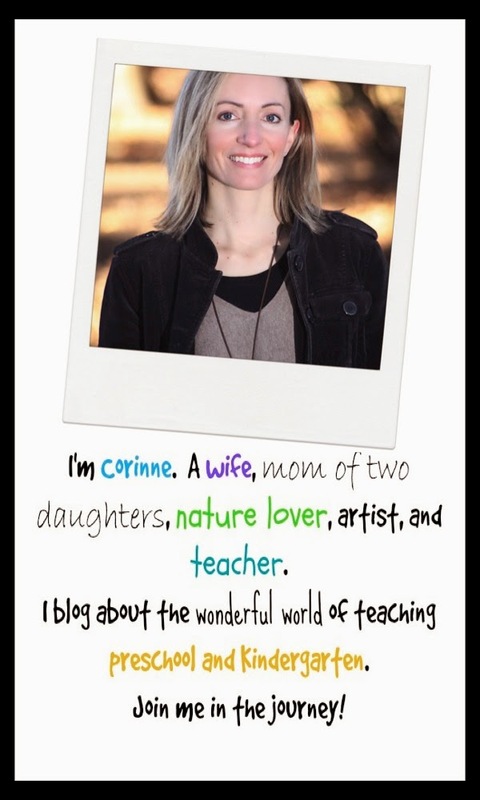 Last year, the activity ended up being fishing for frogs in a pond. I created the station by flipping one of our tables on its side and then decorating it to look like a pond. A blue tablecloth would have been preferable, but I thought I'd work with what I hand on hand! 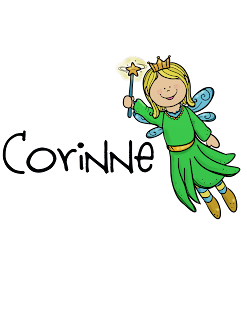 The fishing ROD is created from a paint stir stick. 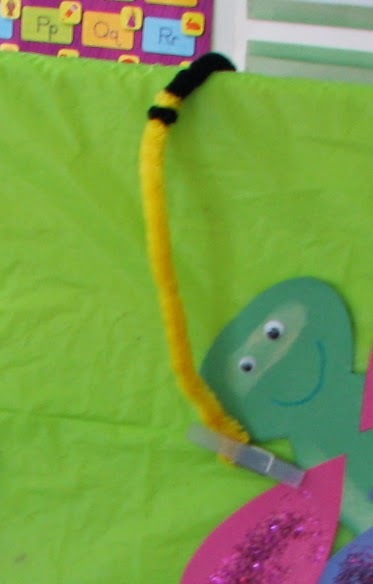 At the end of the fishing line, I looped the pipe cleaner through a clothespin to form the HOOK. Here's a photo of the clothespin "hook." Sorry I don't have a better photo of the full rod, but I'm sure you get the idea! 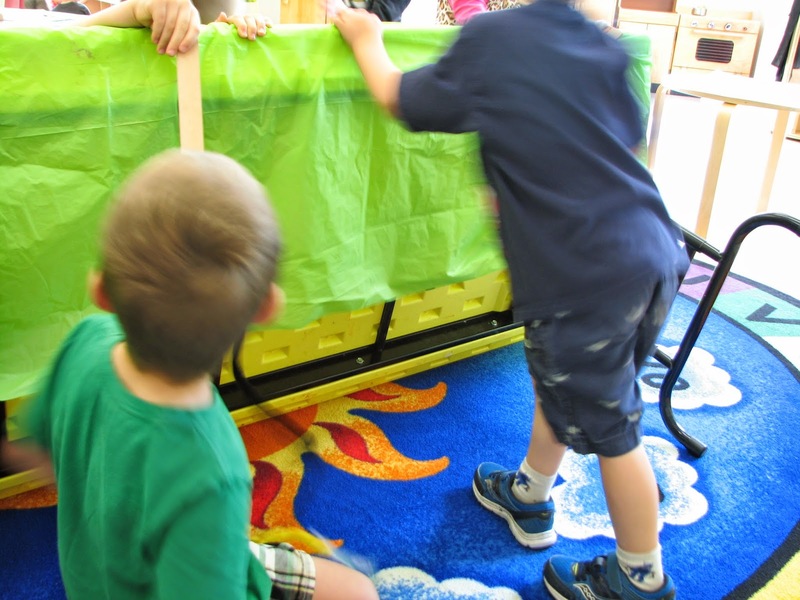 To play the game, students cast their fishing line over the table. 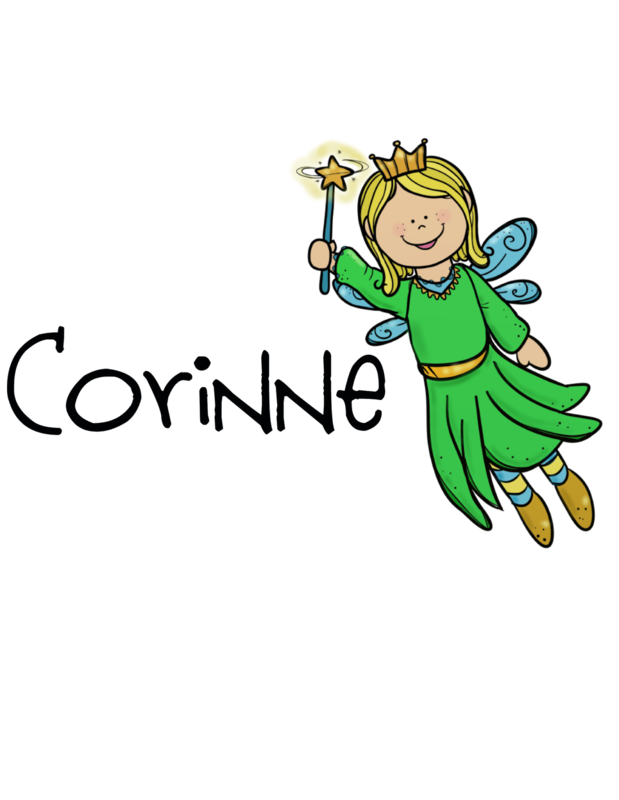 The children on the other side of the table attach the clothespin to one of the frogs. When the frog is attached, the children behind the table tug on the line to let the fisher boy or girl know it's time to reel in their catch. 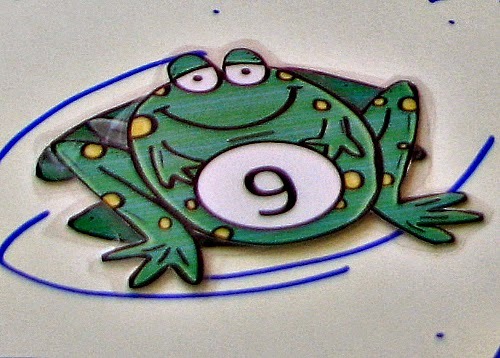 The "caught frog" is then placed on the lily pad that has the matching number of flies! 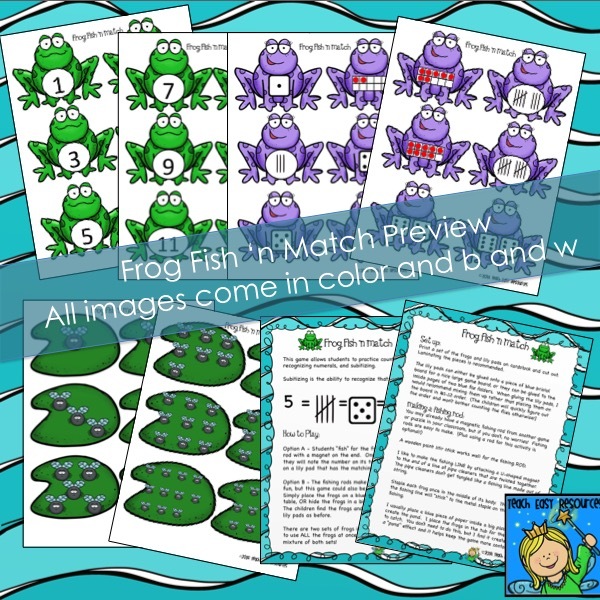 If you'd like to play this froggy fishing game in your class, I am currently offering the brand new updated version of all the frogs and lily pads you need for this activity in my Teachers Pay Teachers shop. 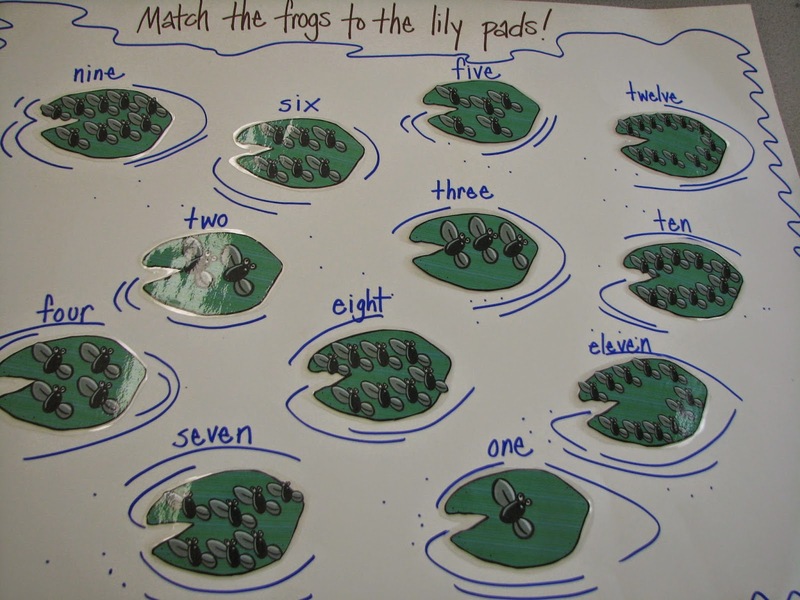 It includes frogs and lily pads numbered from 1-12, as well as a set of frogs with numbers 1-12 represented in various forms (i.e., with tally marks, ten frames, and dice). I should also mention, that the set includes directions for making this an easy to set-up table top activity. Some days, simpler is better! 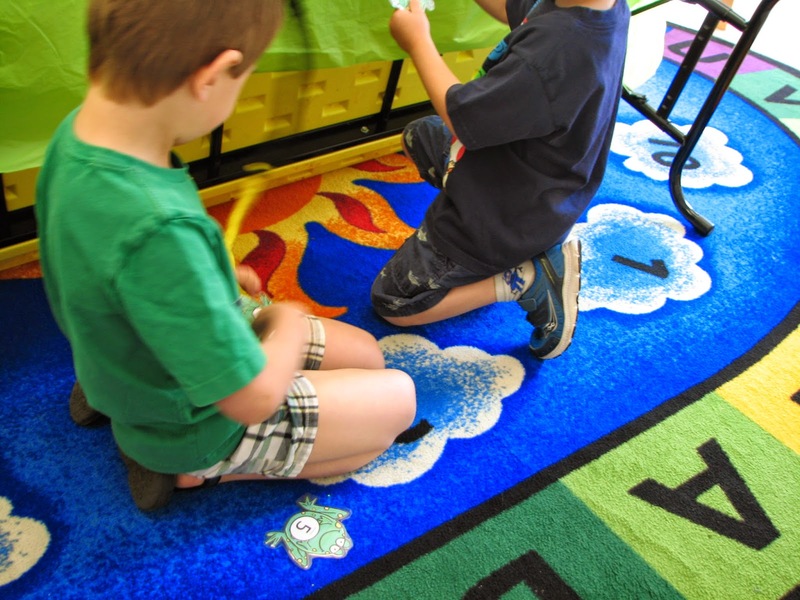 The kids get to fish either way, and practice counting, numeral recognition, and subitizing at the same time! 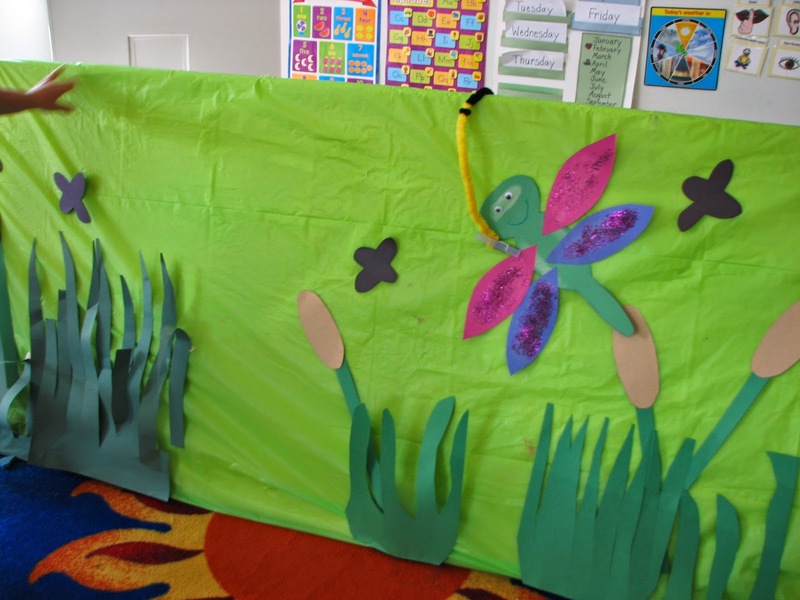 Find this Froggy Fishing Set HERE!